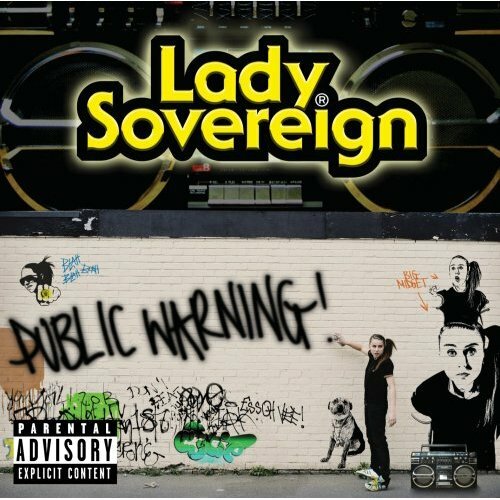 I feel a little bit like a 15-year-old (a hip one though) when I say I love Lady Sovereign. A lot of personality is packed into her 5’1″ frame. Despite her brattiness and the likelihood that I wouldn’t enjoy her company socially, I find her incredibly endearing. She makes fun of herself, being English, and educates us on the real, untouristy London, but raps sentimentally about the fun she had just being a kid in a tough housing estate that has since been demolished. Maybe she reminds me of high schools friends who would swear, say rude things with a smile, and accidentally burp in your face. Or maybe because, as she says “I can’t dance, and I really can’t sing, I can only do one thing and that’s be Lady Sovereign.” What’s a better attitude than that?